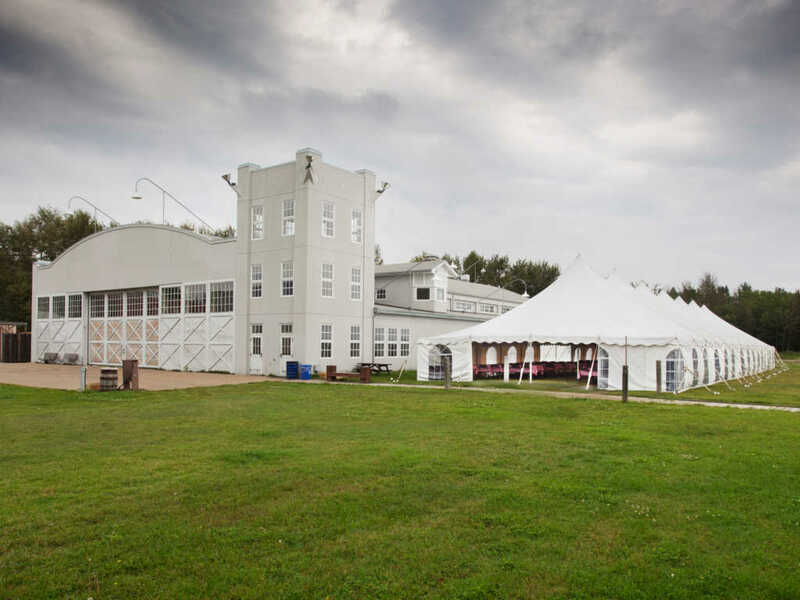 Established in 1984, Big Top Tent Rentals first opened its doors in Edmonton, Alberta as a family owned and operated business. 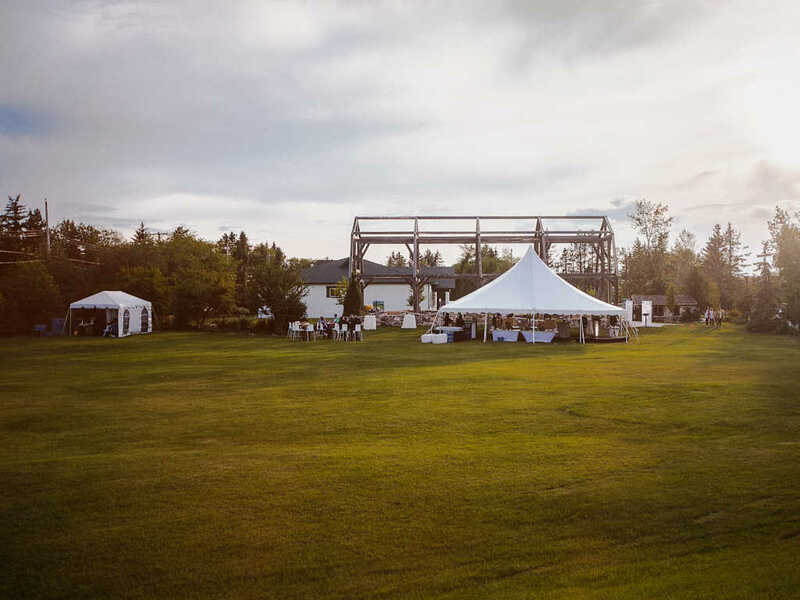 With hard work, a keen eye for quality and determination to succeed, the company expanded quickly and became Edmonton's largest supplier of party and festival tents. 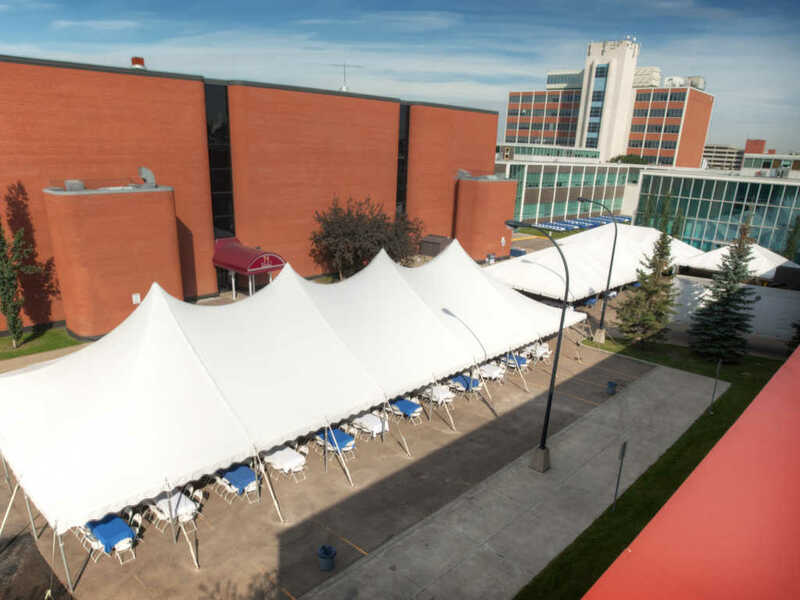 In the fall of 2016, the company was acquired by River City Events as their new tent division and moved into a larger warehouse in downtown Edmonton. The acquisition was an important step to move forward in addressing the company’s growth. 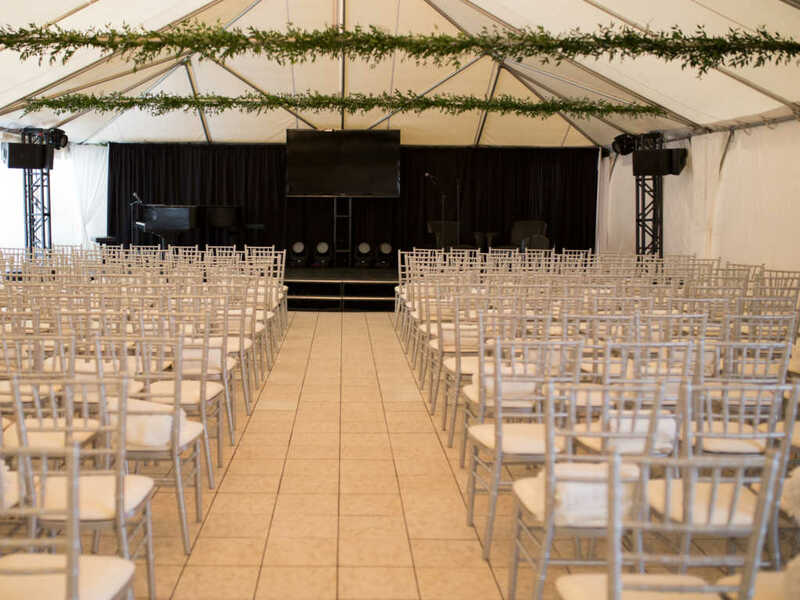 As a result of the business combination, we expanded our rental inventory and now have the resources to provide our clients the latest solutions in tent rentals for events of all sizes. 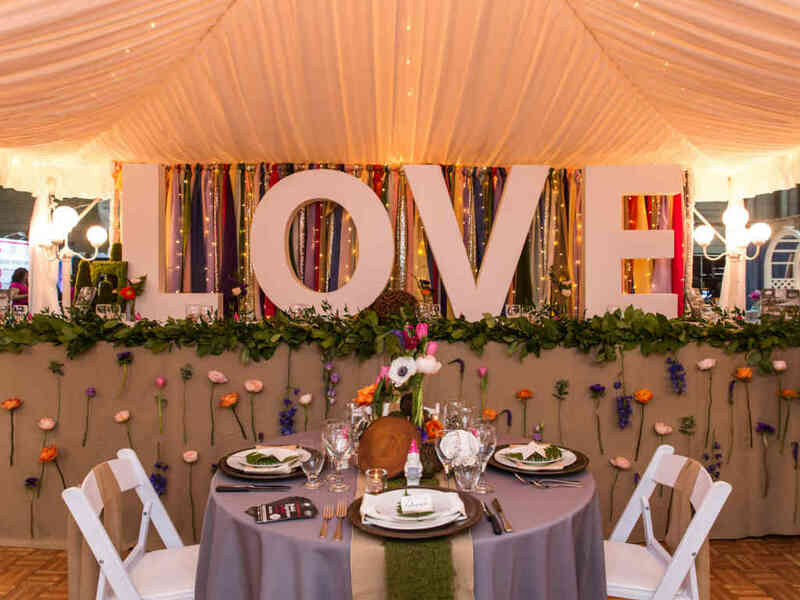 As we embark on this new journey together, we look forward to building on the relationships that enhance our wonderful community while preserving the Big Top Tent Rentals’ legacy and continuing our traditions of excellence. 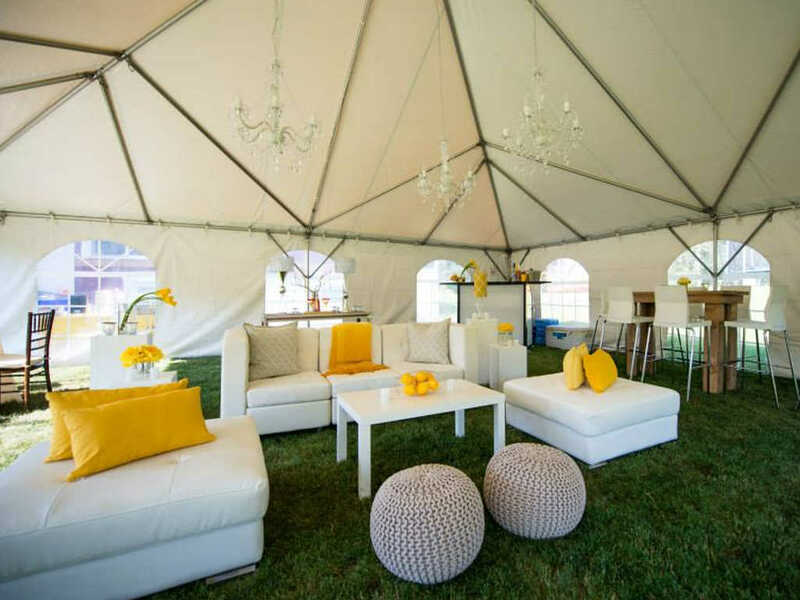 We have a large variety of tent types at River City Events. Our tents can be staked, anchored or weighted. 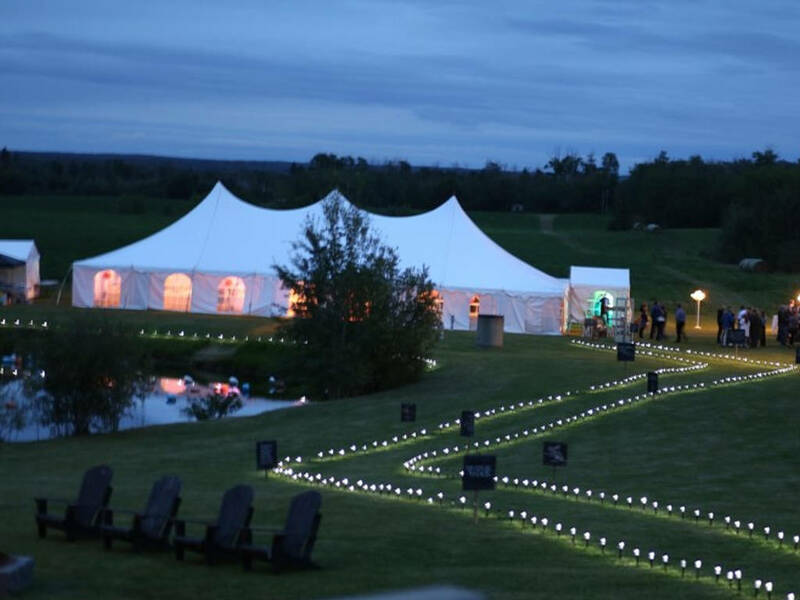 We can also provide lighting, flooring, décor, and wide range of rentals for your tent. Check out our online catalogue for all event rental options. 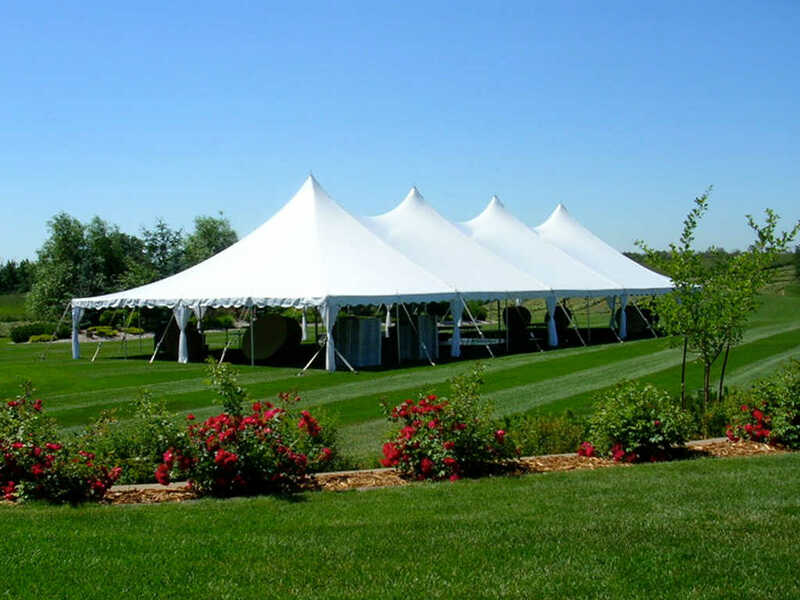 Frame tents are popular because they are convenient, durable and affordable. 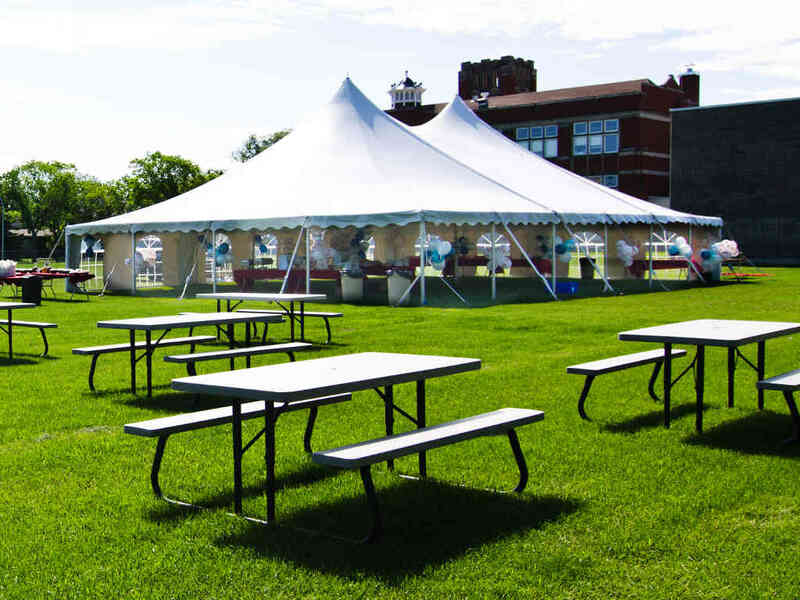 With a classic look and a large variety of sizes for rent, these tents are a great option for backyard parties, corporate events and gatherings. 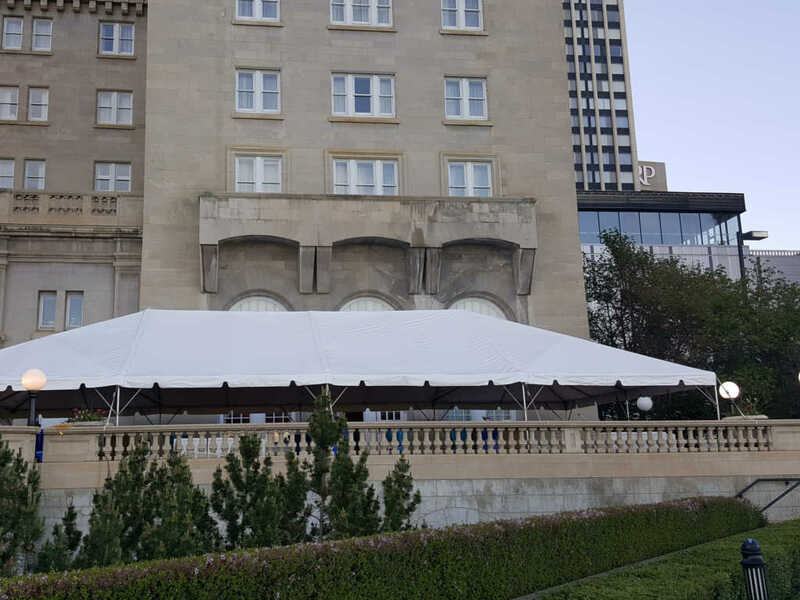 Specifically designed to be highly durable and weather-resistant, these tents are great for larger outdoor events, corporate functions, weddings, and festivals. For guests of 100 to 1000, they are perfect for your wedding or special event. These tent structures are our newest addition. 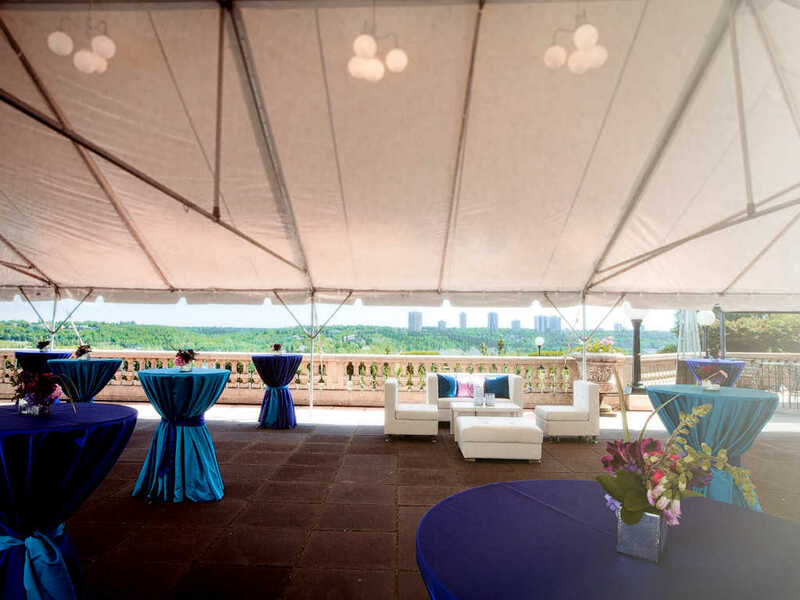 These tents have no interior poles and no exterior ropes, which creates an open environment that can accommodate a variety of events. 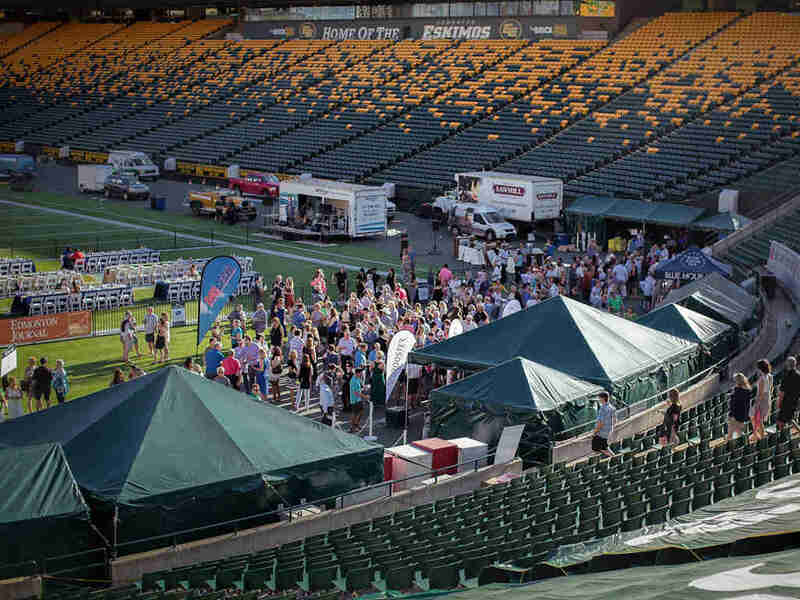 All purpose canopies are a great solution for outdoor sporting events, private gatherings and trade shows. They are easy to setup, take down and transport – these you can do yourself! For sizing and pricing, please visit our catalogue or complete the inquiry form below. If you do not see the size you are looking for just give us a call for more options! What size tent will I need for my function? This is a very good question. 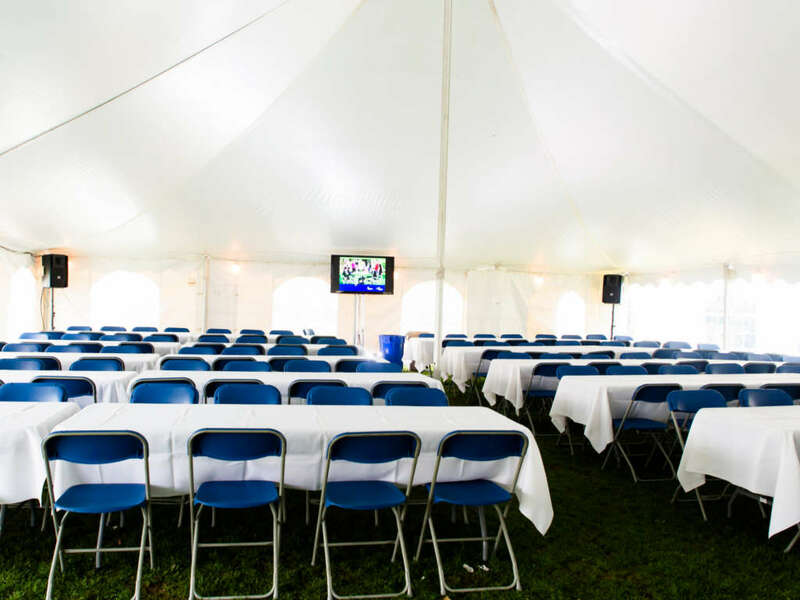 There are a number of factors that affect the tent size for any given event. Our rental brochure provides some basic guidelines, however, a head table, stage, bar area, buffet line, gift tables, and dance floor all require additional space. We would be happy to assist you with choosing a tent size. If you call our office or visit our showroom we could design a tent layout specific to your occasion. Do the tents have to be anchored to the ground? Northern Alberta can experience extremely volatile weather patterns throughout the summer months. Therefore, in every case the tent must be anchored with stakes, according to manufacturer's specifications. 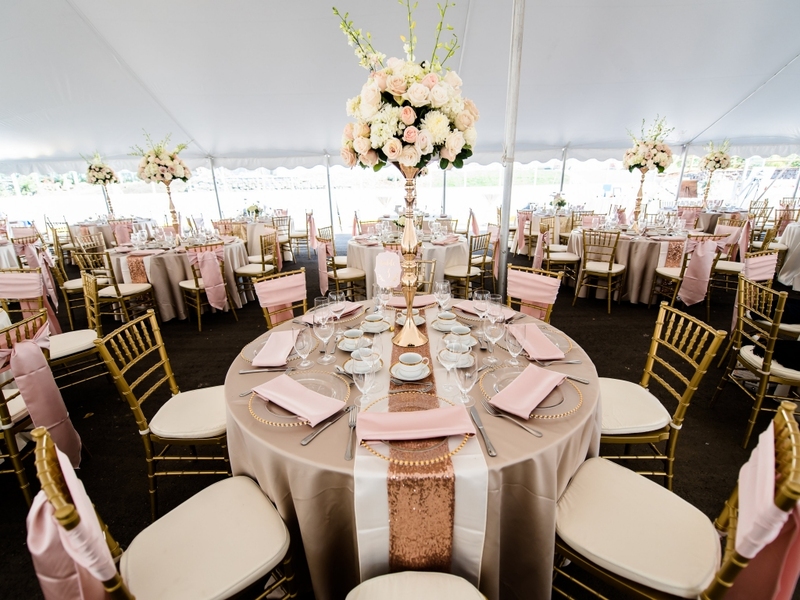 The preferred method of anchoring is to attach the tent to the ground with large metal stakes, in some cases we can secure the tent to permanent fixtures. Can I have the tent erected on concrete or asphalt? Yes you can, but we will have to drill holes into the asphalt to anchor the tent. In this case we would drill a hole that is approximately 1 1/2" in diameter. The stakes are then hammered into this pre-drilled hole. After the stakes have been removed an asphalt plug can be installed for an additional fee. These plugs are made of an asphalt compound and designed to adhere to the parking lot surface. If the tent is being set up on cement we use a concrete anchoring system. This involves drilling a small hole and inserting a metal flush shell approximately 1/2" in diameter and 1 1/2" in length. An I-bolt can then be threaded into the shell and the tent is secured. Once the event is over the I-bolts can be removed leaving a hole roughly the size of a pen. If a tent is required in the same location in the future the flush shells can be reused. Do I have to locate the underground lines? And if so, who do I call? Yes, this is EXTREMELY IMPORTANT. All under ground lines must be located prior to installation of the tent. All tents that we set-up must be anchored properly; this involves driving 24" to 42" stakes into the ground. These stakes could seriously damage underground utilities and could be both costly and hazardous. We require that you contact Alberta 1 Call approximately one week prior to your event. They can be reached at 1-800-242-3447 or albertaonecall.com. They will come out and locate the buried utilities at no charge. However, Alberta 1 Call only locates Primary utilities, which include gas, electrical, water, and communication lines. They do not locate any Secondary lines, these are lines or utilities that were installed after the initial major services were put into place and they include septic fields, underground sprinkler systems, and irrigation lines. How much additional space is required when installing a tent? My back yard is sloped. Will you still be able to set up the tent? If the ground has a major slope in it, it is probably not feasible to setup a tent. However, a good rule of thumb is to ask yourself if you would be comfortable sitting at a table for a meal. If you are not sure take a chair out to the area and move it around to all the various spots and try it out. If you feel comfortable in all the areas, then it is possible to have a tent erected. If you have any doubts, it may be a good idea to have one of our staff members come out to do a site check. I am having a function at my house and I need some additional space. I would like to set up a tent on my deck. Is this possible? Setting up tents on decks is something we do on occasion but we like to do a site visit prior to ensure that the tent will fit and there are no surprises when our installation staff arrives with the tent. 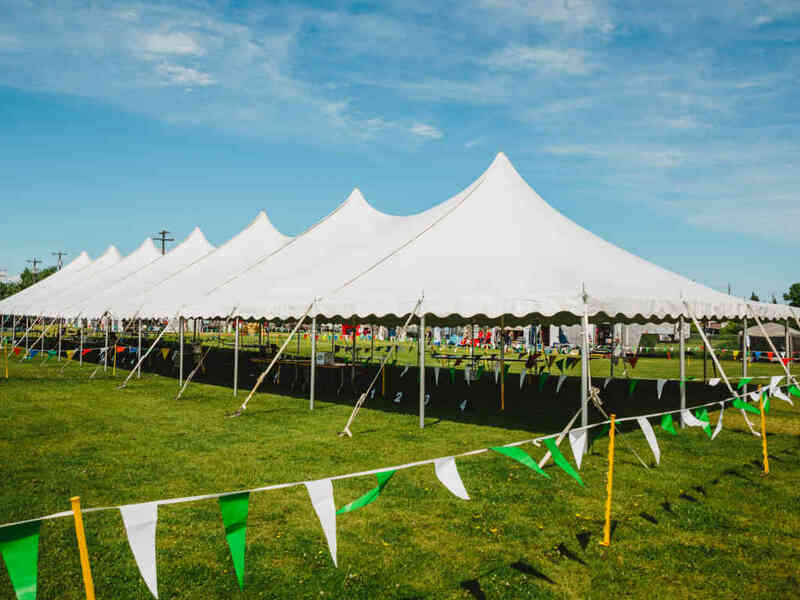 Look over the available sizes in the Frame Tent section and if you feel one of them may work for your event, please contact the office and we will arrange to have a staff member come out and look at the area. Can I install a 40’ x 100’ pole tent myself in order to avoid mileage charges? What determines whether or not I need a site visit? Common sense normally dictates whether you require a site visit or not. If the space where you are planning on setting up the tent is large, flat and appears to be clear of any obstructions a site visit is probably not required. It is always a good idea to pace off or measure the area so you have a basic idea of its dimensions. If the space is irregular or if there are obstacles i.e. overhead lines, decks, gardens, trees, etc. in the way then a site visit is often recommended. Do you have a tent that I can pick-up and set up myself? Yes we do, they are called All Purpose Canopies (APC’s) and they are extremely popular. They are easy to setup, take down and transport. In most cases, two or three people can install an APC within an hour. These tents are available with or without walls. APC’s are available for pickup Friday and must be returned the following Monday. 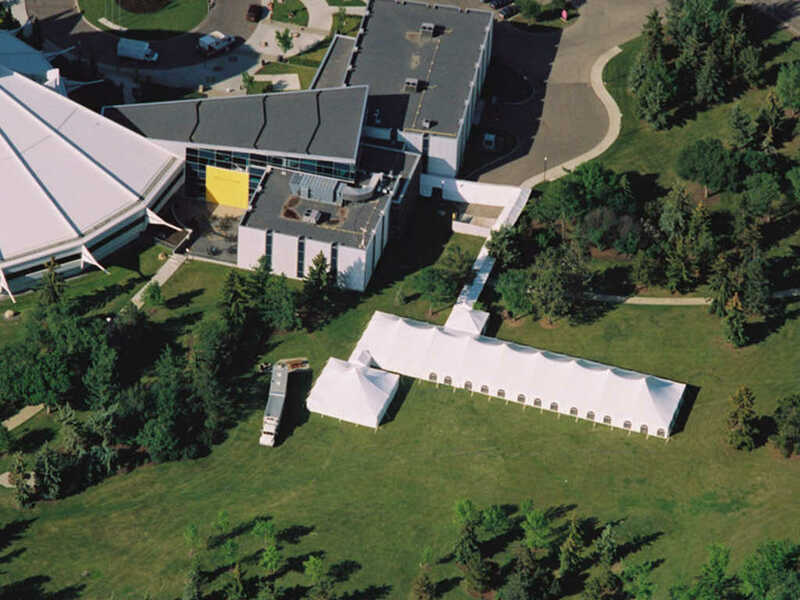 How much additional space is required when installing an APC tent? The manufacturer suggests a minimum of 6’ to 8’ around the perimeter to allow sufficient space for staking. Please note, we do not offer site visits for All Purpose Canopy rentals. How far in advance do I have to place my order and do you require a deposit? Once you have decided that you are going to require our services it is best to book right away. At the time of booking there are three things that we require. When you place your order we will require a deposit, the signed rental agreement and a valid credit card number on file. Please note that the person that provides the credit card number must be the SAME person who signs the rental agreement. Once we have received these items your order will be confirmed. Any changes you make to the order will adjust the balance owing; the deposit amount will remain the same. Will I need a permit for my tent? It is difficult for us to say whether or not a permit will be required for your specific tent event. As all districts and municipalities have different rules and guidelines pertaining to this, it is always best to check with the governing body in your area to see whether or not a permit will be required. Please keep in mind that often times in addition to the Building and Development Branch, the Liquor Board and Fire Department in your area may also need to be made aware of your event. It was a pleasure to work with you girls, your service was outstanding. I hope your company appreciates all you do, as you looked after all my needs and concerns quickly and very efficiently. Thank-you, I look forward to working with you on future events! The tent looked great and we appreciate all the blood, sweat and lack of sleep that went into setting it up. You and your staff are certainly pros and CISN-FM looks forward to doing future business with Big Top, and will gladly pass your company name along. In terms of Capital Ex this year, we want to thank you and your team for the tents you provided our licensees. As usual, Big Top Tent Rentals provided exceptional service. Thank you so much for the great service we received for the planning, set up and tear down of our event at the Cooking Lake Airport. Your customer service is second to none and the crew you sent out to the event was fantastic. I just want to thank you so much for all your help and patience! This wouldn't have been as smooth if it wasn't for all your gracious help. Thank you for the hard work of putting up the "Big Top" which was absolutely stunning for our event.